We are currently accepting new members at Berlin Yacht Club. Benefits of membership include participation in all sailing and social activities of the club as well as use of the clubhouse, grounds, docks, and launch ramp facilities. It also includes boat storage in the spring, summer and fall. No boat? No problem. 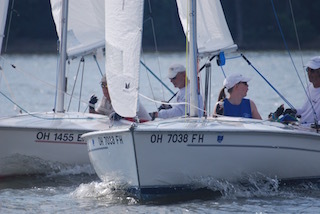 Every year Berlin Yacht Club has several open house “Discover Sailing Days.” These events are free and open to the public. They are designed to introduce people to the sport of sailing, and everyone is invited to attend regardless of previous sailing experience. 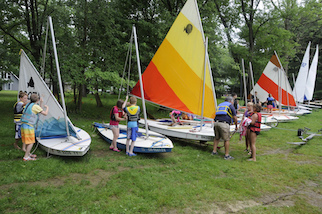 Participants are taken for a sailboat ride on Berlin Lake with an experienced club member. Our guests can just relax and enjoy the ride, set the spinnaker, or take the tiller and mainsheet and sail the boat.